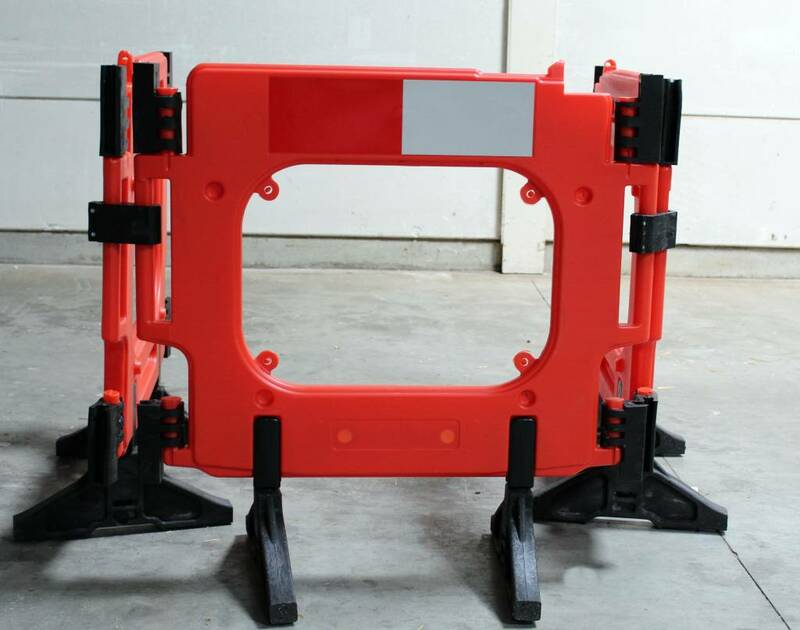 Small construction barrier from HDPE with swivelling feet for smaller worksites. 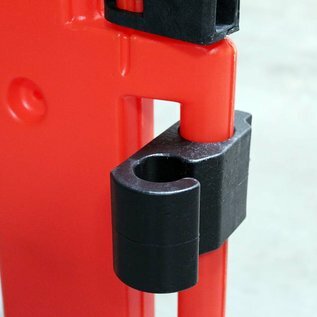 A quick and easy solution to enhance safety at work. Easily stackable. Top quality at an affordable price. 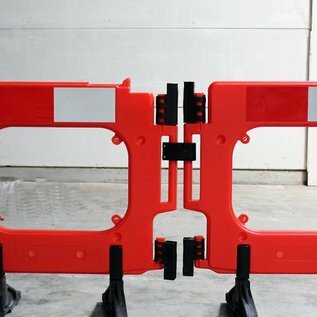 The 'Clearpath' construction barrier offers you a fast, safe and affordable way to protect your worksite. 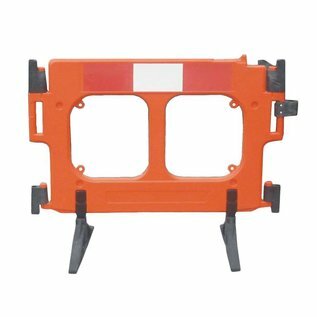 Not only does the use of 'Clearpath' barriers increase safety, they also ensure a professional and tidy appearance of your work area. 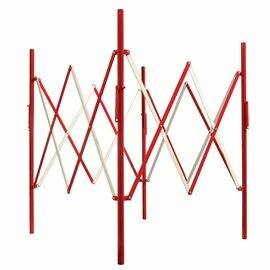 All free standing temporary construction fences must resist windy conditions (BS EN 8442). 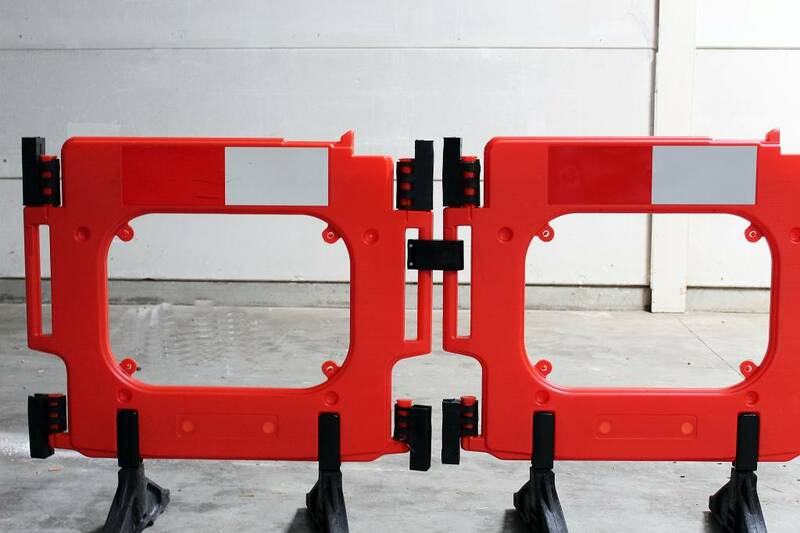 Without additional ballast, the ‘Clearpath’ construction barrier has been tested in a wind tunnel and withstands wind speeds of up to 31 km/h. 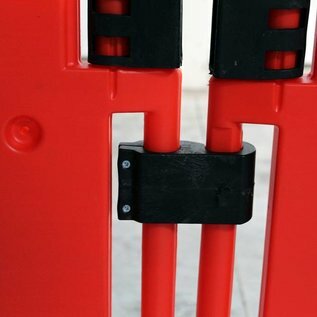 If necessary, ballast can be placed on the feet of the barrier. 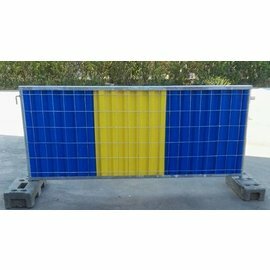 Special ballast blocks are available on request. 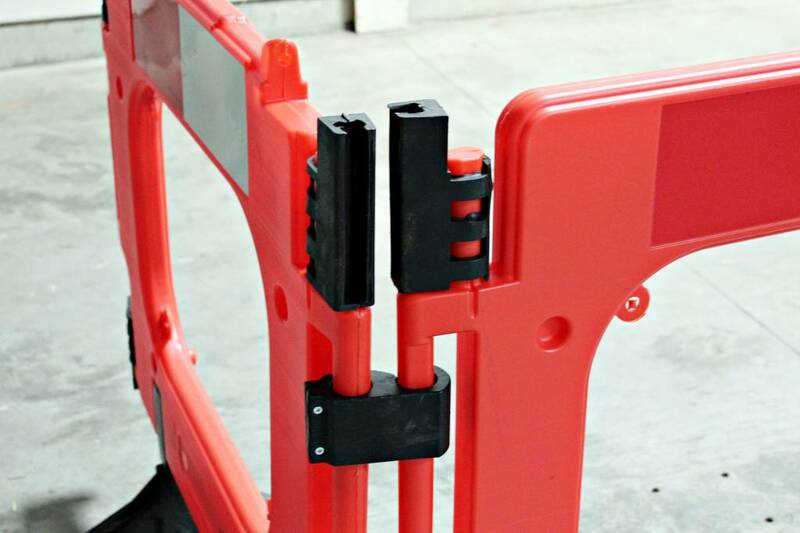 Due to its light weight, the ‘Clearpath’ construction barrier is easy to handle and can be installed by one person. 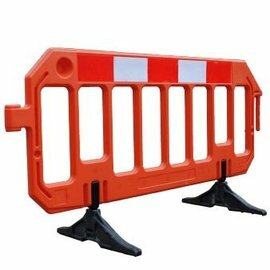 This makes this construction barrier the ideal fencing method for short temporary demarcations or mobile worksites. 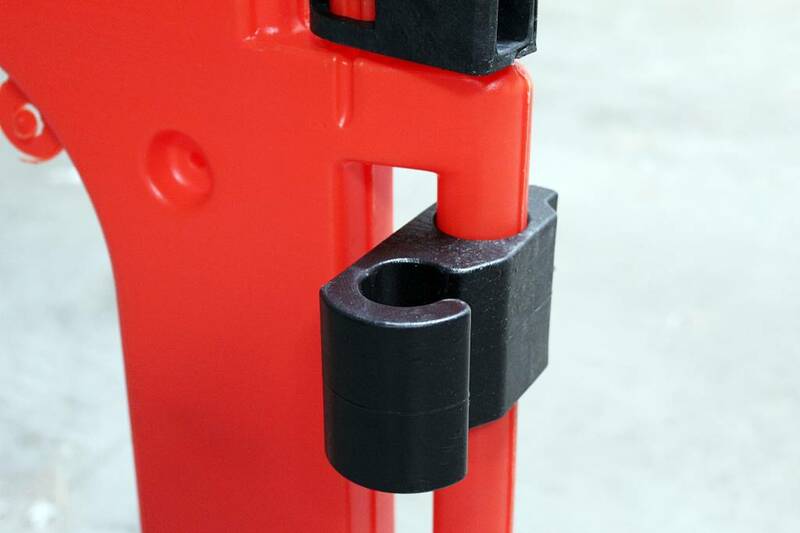 The unique coupling system also ensures that the construction barrier can be placed on uneven surfaces and on any type of construction site. 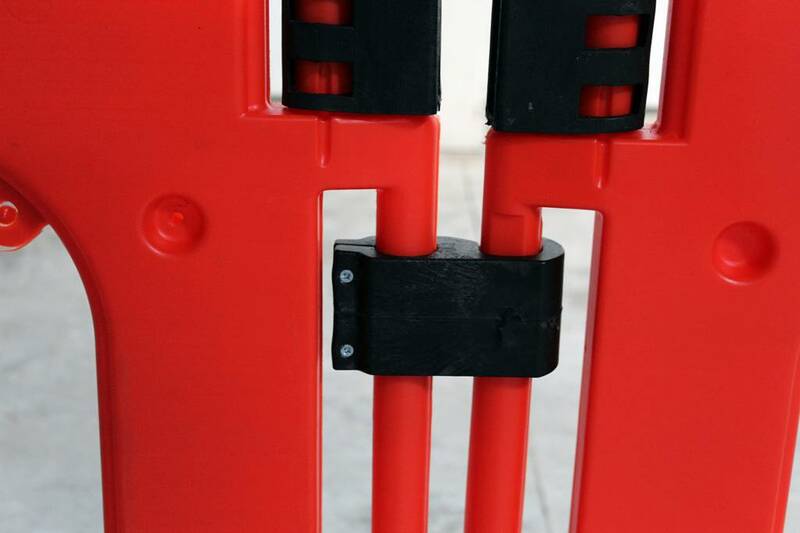 The 360 ​​° swiveling feet make it easy to place the barrier but also facilitates stacking. 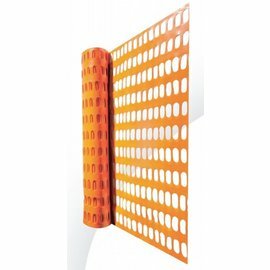 This makes them easy to transport and saves space in your storage area. They are easily loaded and unloaded with a forklift truck. 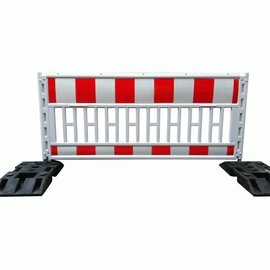 For larger quantities, your ‘Clearpath’ construction barrier can be personalised zith a molded-in logo or produced in your company color. In addition to the bright orange color, there is a reflective red/white strip at the top that provides extra visibility in the dark (EN 12899-1). 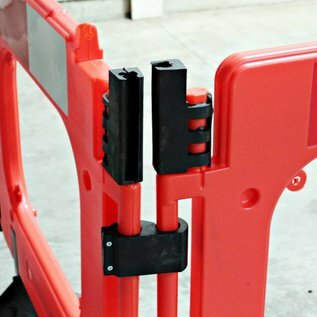 The central opening of the 'Clearpath' construction barrier is equipped with four eyes that allow you to place a personalised publicity banner inside the yard fence. This way you can easily increase your brand recognition or make specific announcements known. 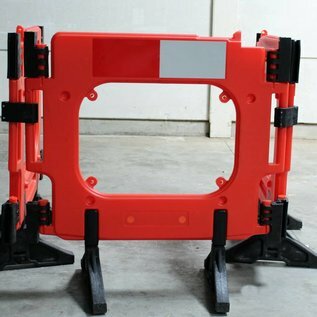 On request, the 'Clearpath' construction barrier is also available with special anti-trip feet. 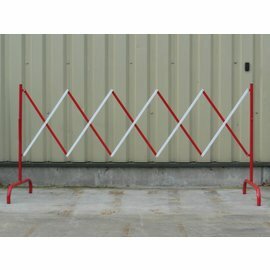 Because feet can sometimes be damaged, you can order them separately from Traffic-Shop. 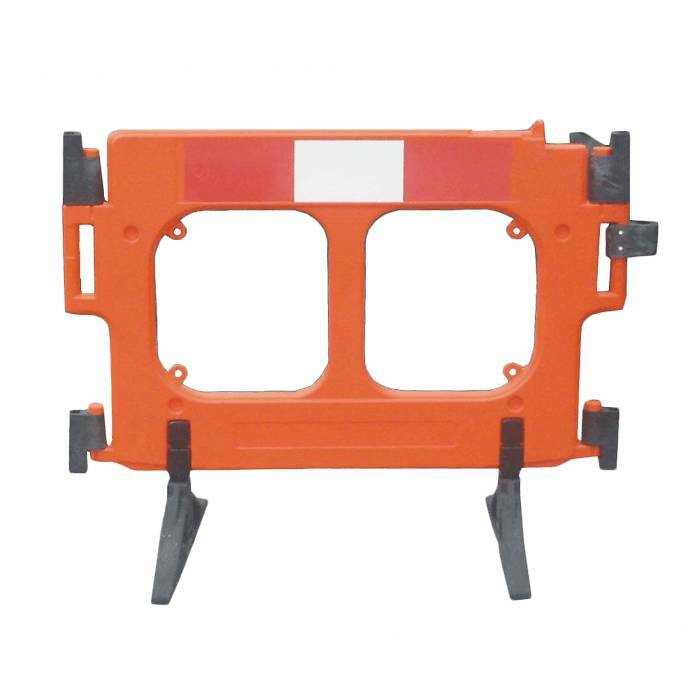 The 'Clearpath' construction barrier is therefore one of the most flexible smaller barriers and an affordable solution for a safe and well-kept work zone.